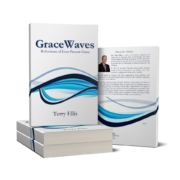 An intervention can be a time when grace washes over the alcoholic. It is a redemptive event where a seriously ill person discovers that there is a way forward, a way to get well. The intervention is also a wave of grace for the family and friends, as they learn to express love, share good memories, and present a united front for hope. The letters that are read at an intervention are the keys to setting a tone of grace and redemption. Even the writing of the letters is a powerful experience, for you are extending grace and hope to another human being. What better purpose can we serve in life? The letters are also a way of setting some boundaries. An intervention is emotionally charged, and the letters are a way of ensuring that corrosive emotions of anger, guilt, blame, and shame do not hijack and derail the process. 1. A message of love. Describe your relationship with the alcoholic, tell him that you love him, cite a few positive qualities, and then give examples of how he has helped you, guided, or encouraged you. Cite joyous memories if you have them. This opening sets the tone for the intervention. The alcoholic will know that he is loved, and what follows is an expression of that love. 2. Address the impact of addiction. In this section write of your firsthand experience with her addiction. Express your concern, then cite specific examples, like a holiday that was ruined, an appointment missed, phone calls unanswered, excuses made on her behalf, accidents, money spent, legal problems, slurred words, forgetfulness, etc. It’s very tempting in this section to generalize. “You never pay attention to me.” Or “You always yell.” Avoid this. Stick with specific incidents. And don’t reach back through the annals of history to resurrect every past offense. Stick with the last 6-12 months. This is not an easy section to write because you likely feel a great deal of hurt and anger. Without invalidating these feelings, I have to stress that an intervention is not the time to deal with these feelings. There will be opportunities in the recovery process later, but not at the intervention. This is not the time for shame, blame, or guilt. Write of what you witnessed and how you felt. It’s perfectly appropriate to say that you were angry, or hurt, or worried. Use some of the words below in describing the impact her behavior has had on you. Keep the focus of this section on yourself and your feelings. Don’t evaluate, diagnose, judge, or condemn. Two or three examples are sufficient. Reemphasize your care for him and give him some clear reasons for accepting help. He will live and get healthy again. Your relationship and others will be restored. His good qualities will resurface. The tone of this section is hope. Give him a reason to believe that this is not the end of his life and that you will support him. As hard as it may be to accept, his main concern has been protecting and prolonging his addiction. That is the painful and twisted nature of the disease. The addiction has become the primary relationship in his life. This section is an appeal to the vestige of his former self when life was good. More importantly it offers a vision for how good life can become. Conclude the letter by simply stating your hope that she will accept help and enter treatment. Do not worry about writing the perfect letter. Remember the love you have for him or her, and simply write from your heart. It will be fine.